If viewed from above the Sun’s north pole, all the planets are orbiting in a counter-clockwise direction; but while most planets also rotate counter-clockwise, Venus rotates clockwise in “retrograde” rotation. When our solar system was formed, Venus might have begun with a different rotation period and obliquity, then migrated to the current state because of chaotic spin changes caused by Sun’s gravitation and tidal effects on its dense atmosphere. 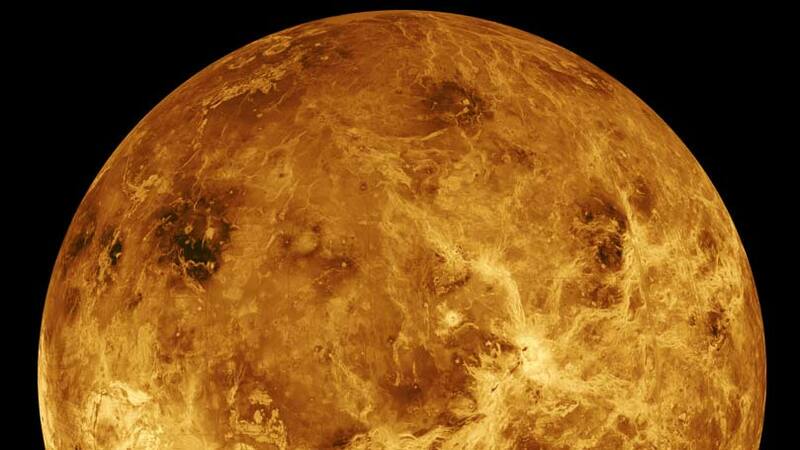 Venus rotates once every 243 Earth days—by far the slowest rotation period of any of the major planets. At the equator, the Venusian surface rotates at 6.5 km/h; on Earth, the rotation speed at the equator is about 1,670 km/h.